Rum is an alcoholic spirit made from sugar cane or its by products; sugar cane juice, sugar cane syrup, sugar cane molasses or any other product. Rum is not limited to only being made in the tropics, it can be distilled anywhere in the world and be called Rum. By products are fermented, where sugar is converted to alcohol by yeasts (either a selected strain or wild). Distilling concentrates the alcohols due to the lower evaporation of alcohol (173 degrees F) over water (212 degrees F). The more the liquid is distilled, the less flavor it has, like vodkas. The man who is supposed to be responsible for sugar cane in the Caribbean is Christopher Columbus. During his second trip across the Atlantic in 1643 he had cane from the Canary Islands and brought it to the Dominican Republic and Haiti. Rum is also to have first been originated in Barbados. A 1651 document states a drink called “Rumbullion” made from sugar cane was being drunk. The first distillery in the United States was set up in 1664 on Staten Island. It would become the most prosperous industry in New England. Ships would drop off molasses in trade for sugar. In the 17th century British settlers were using sugar cane plantations to spur economic growth. In order to run their plantations, they needed workers. Ships would leave port and sail to West Africa. Rum would be traded for slaves, slaves would be traded for molasses in the West Indies and molasses would be transported back to New England to be turned into rum. This would be known as “The Triangle Trade”. Brazil supplies most of the molasses to make rum currently. Fresh Cane Juice – The juice that comes from crushed sugar cane. It’s usually fermented immediately and not aged for extended periods. Some products are Cachaca from Brazil and Rhum Agricole from Martinique. As sugar cane juice is crushed the green juice is called “Vejou”. Molasses – This is a by-product from crystalline sugar processing. Sugar has been removed from the juice and molasses is left behind. Molasses contains fermentable sugars which allows it to be stored for longer periods of time. Cane Syrup – Also known as “sugar cane honey” or “sweet table grade molasses”. It contains all sugar present in cane juice with most of the water removed (up to 90% sugar). One of the benefits of this product is that it can be stored, so it can be fermented and distilled later. Old methods of rum production were to crush the sugar cane and collect the juices. The crystallized sugar would be kept and the remaining molasses would be left to ferment. It is then diluted to create a “live wash”. Yeasts would be then added to convert the sugars to alcohol. After fermentation the liquid is called a “dead wash”. From here the resulting liquid would be distilled to 140-190 proof and be put into barrels. Modern methods vary their production with pot stills or continuous stills. Pot stills limit production to small batches with distinct flavors, where continuous stills allow large amounts of distillation to occur; hence “continuous still”. Most producers use column stills because of this. Fermented molasses wine called a beer or wash is heated in the columns. Steam strips the beer of alcohol and is collected at the top of the column where it is condensed into a clear high-proof alcohol. Most rum is distilled from molasses, but French-speaking islands prefer to use sugar cane juice. To start fermentation, yeast and water are added to the juices. Jamaican rum uses “Dunder” which are yeast rich left overs from one batch to start another, just like a sour mash in Bourbon production. Light rums use fast acting yeast, where full flavored rum use slow working yeasts causing esters to accumulate. Most sugar cane used in rum production is now imported from Brazil. Used whiskey and bourbon barrels are most commonly used in aging. The wood adds subtle flavoring, adds color and smooths out the rum. New charred oak barrels are used as well, mainly in smaller batches. The smaller barrels pull out more wood flavor into the spirit and help it to mature faster. Some companies are now experimenting with sherry, cognac and port barrels. As the aging occurs, water and alcohol evaporate and the spirit becomes more concentrated. Evaporation is known as the “Angel’s Share”. Some rums will be blended together and then aged in barrels to further mature and marry together. Sometimes the Solera method is used in aging as well. When referring to age, the year reflects the youngest rum in the bottle. Due to the tropical climates where rum is usually aged, it matures faster. Rum will usually be blended because of the evaporation that occurs. Average evaporation is 10%. White or Clear rum – Traditionally produced in the Southern Caribbean Islands (Puerto Rico and Trinidad). Can be aged for 6 months to one year and carbon filtered to remove color from barrels spent during aging. Usually around 80 proof (40% ABV). Mild in flavor and light bodied. 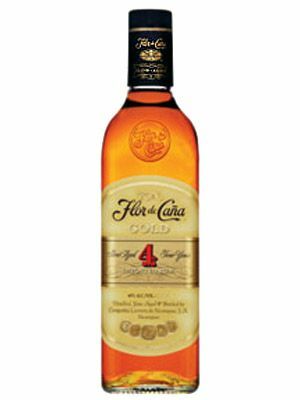 Gold or Pale Rum – Aged for several years in barrels and some caramel coloring may be added. It’s amber and golden in color. Nose and tastes of vanilla, almond, citrus, caramel and coconut. Dark Rum – Produced in Jamaica, Barbados, Haiti and Martinique. Dark rum is matured in oak barrels for 2 or more years, but sometimes aged 3-12 years. During this time it develops rich flavoring. Dark mahogany, copper and caramel colors. Most distillations will start by using molasses from a previous batch (similar to sour mash). 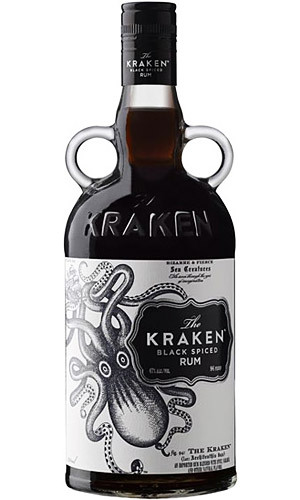 Black Rum – This rum is usually stored in charred wood barrels to impart flavor and coloring. It is made from molasses and it retains its natural flavor. It’s dark, rich and heavy in body and is good to balance cocktails and other rums. Naval Rum – This rum is associated with the British Royal Navy. The Royal Navy used to give a daily ration of rum to sailors as far back as 1655 when Britain captured Jamaica. Ships started to return back home with barrels of rum instead of Brandy because it improved as it aged on the journey home. Around 1740 sailors started to water down rum and add lime juice to prevent scurvy. This would come to be known as “Grog”. The name came from Admiral Edward Vernon who wore a “grogram coat” and was nicknamed “Old Grog” while he was aboard the ship. ‘Grog” also comes from the word “groggy” because that is how the sailors would feel after a night of drinking this concoction. Naval rum is used to represent the spirit of international adventure, honor and bravery. It is a rich, full body flavored rum. Another story involving Naval Rum involves the Battle of Trafalgar by Admiral Lord Horatio Nelson. It was considered the largest British victory ever, but Nelson would be mortally wounded. Nelson’s body would be put in a cask of rum to preserve it on the way back to England. When the ship arrived, the cask of rum was empty and Nelson’s body was pickled. A hole was drilled into the bottom of the cask and the sailors drank all the rum and Nelson’s blood. Rum got a new nickname “Nelson’s Blood” as well as “Tapping the Admiral” after this. The first official purveyor of rum was Mr. Lemon Hart in the early 1800’s and he registered it in 1888. Rum would be given as rations to sailors all the way up until July 31, 1970, which would known as Black Tot Day. Premium Aged Rum – This rum is aged longer in barrels and is often blended. It has a superior flavor profile, adds smoothness, richness and subtle flavors. It’s dark in color and rich in flavor. Vintage Rum – Vintage rum is usually distilled, bottled and labeled the year they were distilled and location it was made at. It’s usually from the French Islands. Overproof Rum – Also known as “OP”, it contains higher concentrations of alcohol, usually 50% ABV or higher. Modern distillation produces a spirit that is 160-190 proof and isn’t diluted. This rum is bottled at cask strength. The United States usually doesn’t allow any spirit over 155 proof into the country. Rhum Agricole – Any rum containing this name means it comes from the French territories of the Caribbean. Martinique is the only region in the world to have AOC (Appelation d’Origine Controlee) in the rum industry. This is the standard for production, labeling and aging. Rhum Agricole is distilled from pure, fresh cane juice. It is distilled to about 70% alcohol which helps to retain the cane juice flavor. 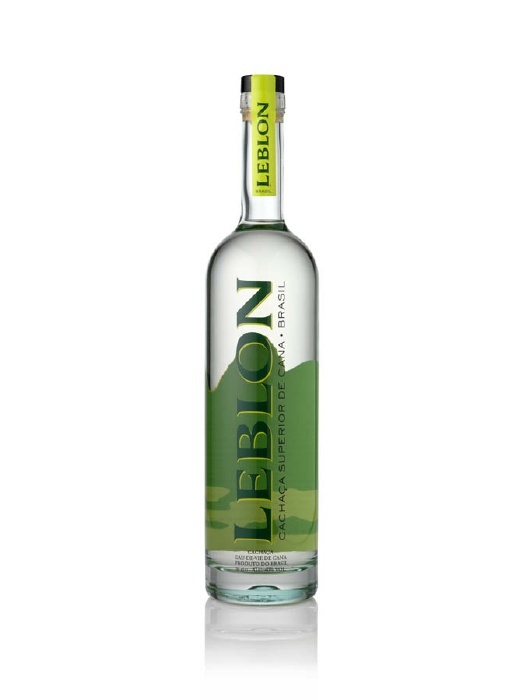 Cachaca – A Brazilian sugar cane spirit made from sugar cane juice with little or no aging. Ranges in ABV from 38-51% and can be unaged, aged or yellow. Aguardiente – A spirit distilled and fermented from fruit, usually sugar cane. Its name means “Fire water” or “Burning water”. It has a robust vegetal flavor and sometimes has an Anise flavor added to it. Flavored or Spiced Rum – This rum was first created for medicinal purposes. Spices from seeds, dried fruits, roots, leaves, bark or edible flora were added. Anything below 40% ABV are called flavored rums. Guyana Rum – Dark, medium body rum, 151 proof. Known as Demerara Rum. Jamaica Rum – Naturally fermented for 3 weeks (natural yeast settles on the mash). It is then distilled twice in pot stills and aged in oak casks for a minimum of 5 years. It gets its dark, rich color and flavor from molasses. Martinique and Haitian Rum – Distilled from sugar cane juice. Lightly aged and medium bodied. Batavia – Made from Javanese red rice from Indonesia. Small rice cakes are made and then ferment naturally in molasses. It’s aged for 3 years in Java and then shipped to Holland to age an additional 6 years. Aguardiente de Cana – Usually from Colombia. Distilled from molasses. Has a strong vegetal flavor with hints of anise. Tuzemak – A domestic rum from the Czech Republic made from sugar beets. www.rumshop.net/rumhistory.html (The Rum Experience – Rum Runner Press, Inc).